Mick Poulter lives in the Bishopdale with his family and has an amazing life. He works with his wife in an incredibly stressful job and to counterbalance this has a variety of pastimes which include skiing, climbing, running, sailing and motorbikes. 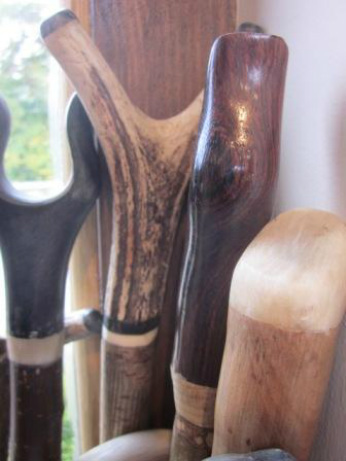 So you can imagine the surprised when he let slip that he also makes the most exquisite walking sticks, some of which you can see here! Mick Poulter's Sticks are available to purchase at Fabric of the Field in West Burton. Please feel free to call in and browse his selection. It is much easier for you to see and feel these in person .....like a wand is to Harry Potter... a stick might choose it's owner...... could one of these choose you?? ?